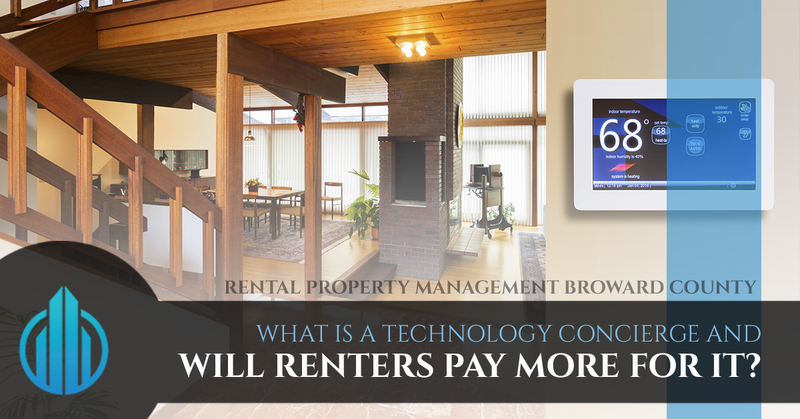 Rental Property Management Broward County: What is a Technology Concierge and Will Renters Pay More For It? What is a Technology Concierge and Will Renters Pay More For It? With smart home automation on the rise, it can be easy to start considering if you multifamily property needs to give renters access to all those bells and whistles. Is the ROI on such a thing worth your time and investment? With our property management experience, we specialize in reading market trends and understanding data in regard to renter’s attitudes toward various multi-family living options around the Broward County area. So, does a technology geared property management system draw renters to your property? Multifamily Executive claims that most multifamily residents would willingly accept an increase in rent if it offered them the option of accessing some home automation features. This conclusion was drawn by Entrata, a Utah based property management software company. They claim that as many as three out of four residents of these multifamily properties would accept an increase in rent. If this is true, then this is excellent news for the folks that are already investing in more technologically advanced options within their properties. Specifically, current and prospective residents seem to be interested in security cameras, keyless entry and smart thermostats that help them save on utilities and make the them feel safer in their own homes. While it’s a draw to renters at this point, a peek at the history of demand in rental properties might open your eyes to see if this is an upgrade you should make right now. Remember when pools were the huge draw to renters? That’s nearly considered a standard now among most multifamily residential properties in Broward County. The trick in gauging when to invest in these upgrades is investigating when it will become a necessity and installing it in your property right before that point. For example, When you see that rent is going up around town in order to accommodate new smart home systems, might still be the time to hold off. If rent is going up, there will still be people who will not be willing to pay more money for something that, technically speaking, they don’t need. With any new technology comes a whole slew of bugs and problems to work out. From password reset bugs to firmware upgrades, technology is flawed and it takes a fair amount of time to work out those problems. If you don’t install all of these systems with kinks in their functionality right off the bat, you’ll be able to side-step panicked tenants and all of the other issues that come with troubleshooting technology on the scale of large multifamily properties. If you’re interested in adding value to your multifamily residential property, now or in the future, we recommend keeping an eye on a certain tech company by the name of Axius. 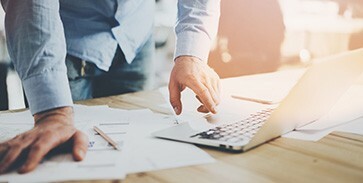 According to one of their recent press releases they mentioned specifically that their mission is to insure “every connected device, no matter the brand,is safe, up-to-date, and functioning properly.” That mission statement, of course, implies that they intend to make sure there are no bugs to work out. They’re a fairly new company and made their services available to a few builders just last year. Their platform launch is scheduled for later this year and they’re releasing two versions of the software, one to assist residential property managers and one for home builders. Their goal is to issue a new age into being that includes almost strictly smart homes and apartments. It’s a system that acts as a hub, like a router. It can support any device that links to it as long as there’s wifi binding the two together. The Axuis is then able to bind all of the smart home systems in the house including third-party security systems together to make the home cyber secure as well as physically secure. The system can monitor and identify problems and then fix it, all before it becomes a problem for you or the tenants in the building. They can detect default passwords as well as reboot modems and routers on a regular schedule to keep everything locked down and safe. It’s tech support for a smart home automation system that isn’t quite as seamless as you’d think it is. If you’re looking down the road at the future of property management and residential property investment, you’ll need to eventually look into smart home automation for your properties. The major hurdles to jump over to achieve large scale use is price and seamless and effective integration seamlessly. With Axuis, one of those problems will be removed, thus paving the way to a future full of smart home, automated housing across Broward County that benefits you, the owner allowing you to charge more rent, as well as your residents. They’ve managed to easily set themselves apart from their competition by providing the one thing technology companies always get wrong: service. They provide quality, monitored service that supports their hardware and their software so that you’re never left in the dark about why something isn’t working. Their B2B model of working with only businesses to develop their product and powerful partnerships will take this system to the next level. 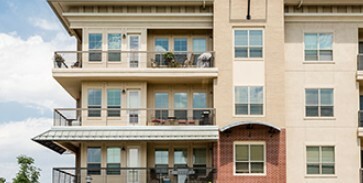 When you choose DNS Property Management for your multifamily residential property, you’re investing in a company that stays on top of trends and gets you the most out of every single unit. As a property owner, you’ve invested in real estate so that you can enjoy your time with your family and friends rather than fretting over the state of your property. Contact DNS Property Management to start managing your assets intelligently.